East Bengal elected to become part of Pakistan, as East Pakistan, at the partition of India in 1947 but broke away in 1971 to become the independent Republic of Bangladesh. 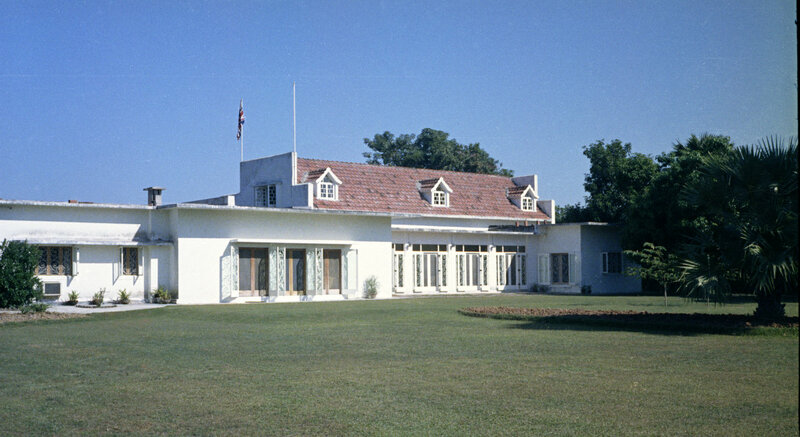 The deputy high commission at Dhaka (spelled Dacca until 1983), subordinate to Karachi from 1947 to 1971, then became a high commission. 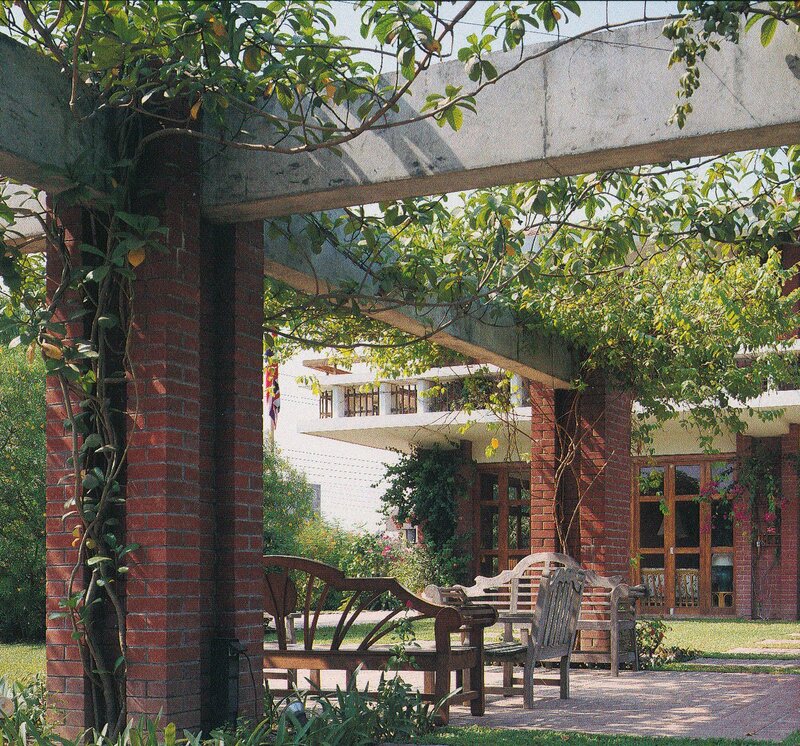 By the 1970s, the accommodation, all of which was leased, had moved from the centre of Dhaka to Gulshan, the planned model neighbourhood that had been founded in the early 1960s on the northern edge of Dhaka. The residence was in a converted bungalow called Shamolee, at House 10, Road No. 32. The offices were in several buildings, including the DIT Building in Dilkusha succeeded by Zubeida Mansions, a converted 4-storey block of flats on what was then Lake Road, and Abu Bakr House on Road No. 84, housing the chancery and commercial section. Part of the neighbourhood of Baridhara, just to the east of Gulshan, was designated a diplomatic enclave in the early 1970s. 99-year leases on four lakeside plots, 13-16, together comprising just over a hectare, were bought in 1978 before they were serviced with infrastructure for £39,000. Similar leases on two adjacent plots on Dutabash Road, comprising about 0.75 hectare, were bought in 1986, having been serviced with roads, sewers and other services, for £520,000. 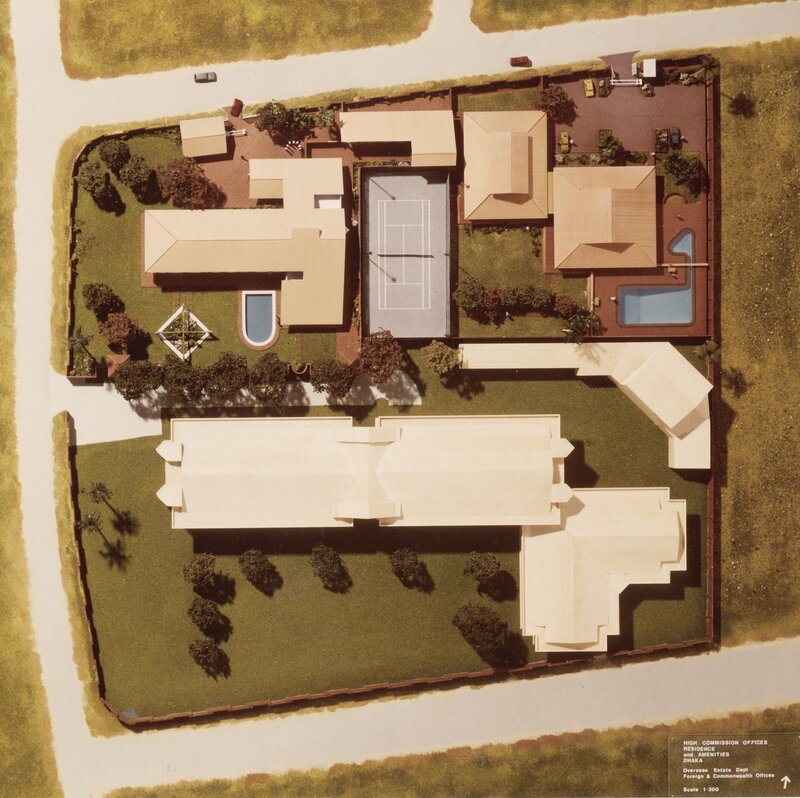 This combination of plots resulted in a roughly square site of about 1.8 hectares. 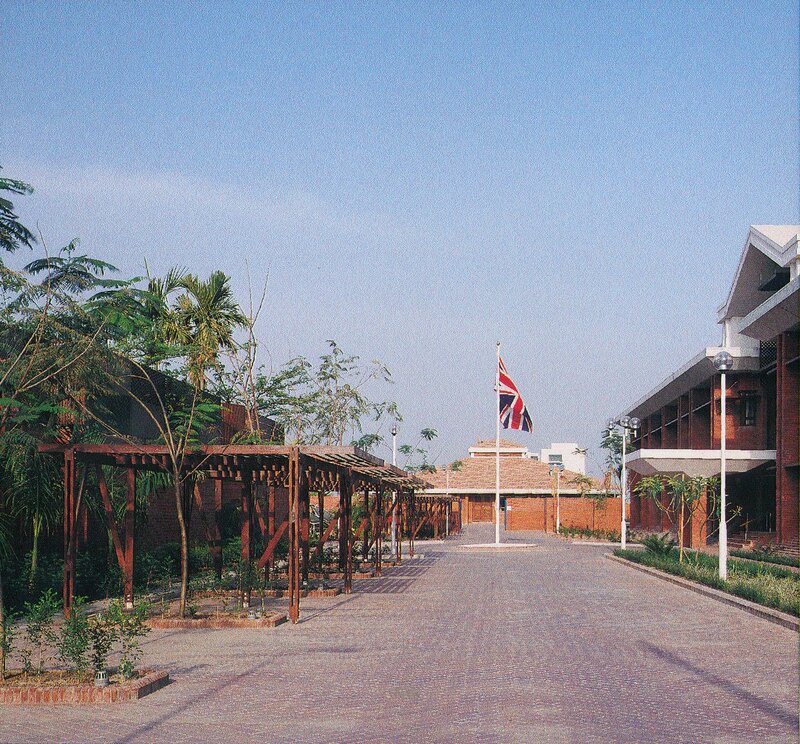 The FCO drew up a zoning plan for future development, which sited a staff amenities centre in the north-east quarter, a residence in the north-west quarter, and offices in the southern half. View east from main gate along spine of site, 1990.